By our whole school community living by the Christian principles of respect, resilience, relationship, reverence and responsibility we will produce children ready for the next stage of their lives. At Heckington St Andrew's nothing but the best is good enough AND together we can always be better. 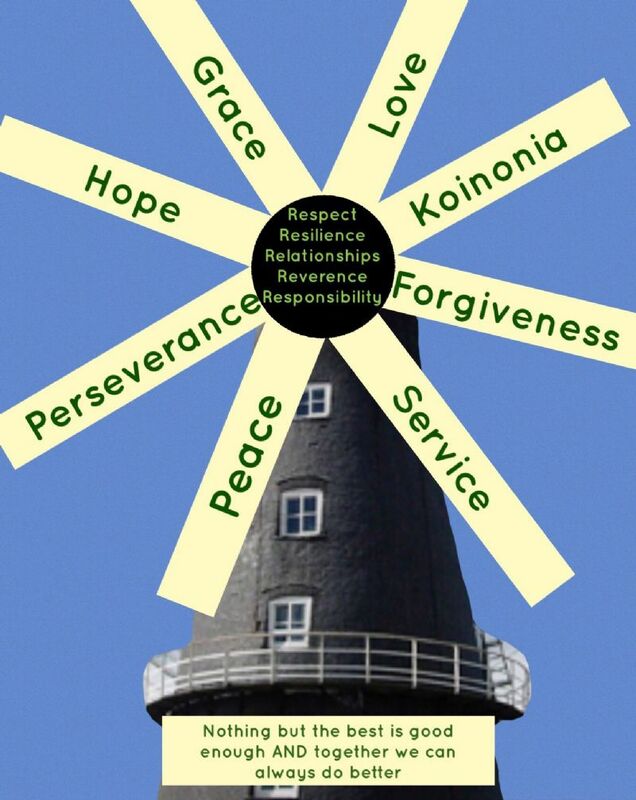 Our Christian values of respect, resilience, relationships, reverence and responsibility will be the golden thread through everything we do at Heckington St. Andrew’s and they will be underpinned by our other Church School values and represented on the windmill.